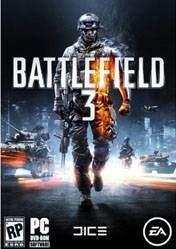 Battlefield 3 (commonly abbreviated BF3) is a first-person shooter video game developed by EA Digital Illusions CE and published by Electronic Arts. It is a direct sequel to 2005's Battlefield 2, and the eleventh installment in the Battlefieldfranchise. The game was released in North America on October 25, 2011 and in Europe on October 28, 2011 for Microsoft Windows, PlayStation 3, and Xbox 360. EA Mobile also confirmed a port for the iOS platform. The game sold 5 million copies in its first week of release, and received critical acclaim from most game reviewers. It does not support versions of Windows prior to Windows Vista as the game only supports DirectX 10 and 11. The PC version is exclusive to EA's Origin platform, through which PC users also authenticate when connecting to the game. In campaign mode, players take on the personas of several military roles; a USMC recon Marine, an F-18 systems officer, an M1A2 Abrams tank operator, and a SPETSNAZ operative. The campaign takes place at various locations, from Iranto New York, and follows the story of Sergeant Blackburn and later, Dimitri Mayakovsky. One of my favourite FPS games. Super cheap as well. version on BF! In my opinion Love to play it! Love it! Battlefield 3 is better than Battlefield 4 in my opinion. Got it free on origin. Best version on BF! In my opinion, better than BF4.